Staten Island is the greenest borough in New York City, yet it has high rates of preventable illnesses, including obesity, type 2 diabetes, and asthma. School gardens, as part of a comprehensive strategy, have been shown to increase youth’s willingness to taste fruits and vegetables, increase levels of physical activity, and enhance academic instruction. Below is a map of known school and community gardens in Staten Island. This map will be updated periodically to reflect new gardens. SIPCW assists in expanding the Garden to Café program that links school gardens with School Food to promote healthy food consumption. 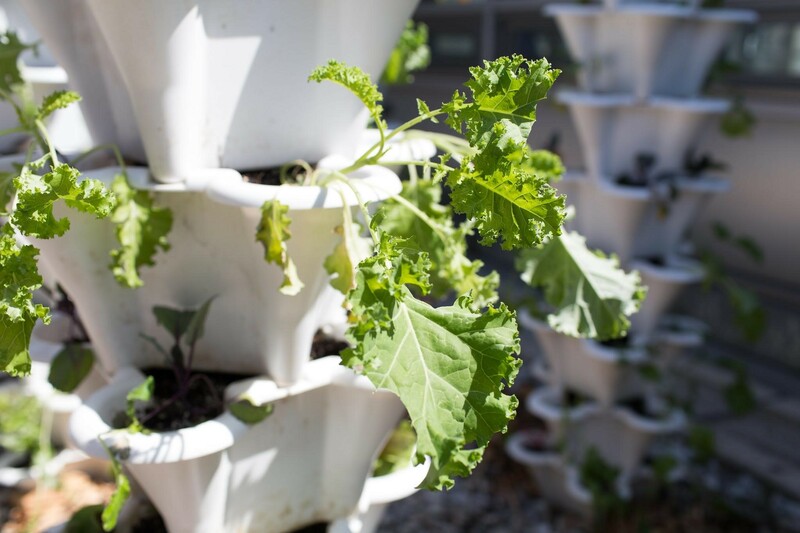 This program has sparked interest among district schools in gardens as sources of physical activity, healthy eating, and opportunities to incorporate STEAM (Science, Technology, Engineering, Arts and Math) lessons. In April 2016, SIPCW convened the first district-wide School Garden Summit to provide educators and attendees with resources, garden-based curriculum, and information on best practices to enhance a school’s sustainable landscape. The Garden Summit provided school personnel with resources to expand school gardens and farms, and the event helped produce seven new school gardens on Staten Island. More than 100 educators attended the inaugural event. Watch NY1’s coverage of the event. The second annual Garden Summit is slated for the first quarter of 2017.